The Vampire Diaries and the book series True Blood were a smash hit. Everyone young and old loves them, even though the age group they were targeted to was young adults. It may have been the idea of forbiden love, such as that between Vampires and humans, or the somber, yet mystical settings, music and wardrobe that makes this idea so popular. So popular are these books that the environment is now adapted to movies and TV shows. But wait! There is another place were this somber, dark but beautiful romance is viewable; on Immortal Romance slot, a new slot game with lots of free spin options. This is a newest slot game that has a theme centered on Vampire Romance. The idea is to transport players into the dark and scary world of Vampire romance. 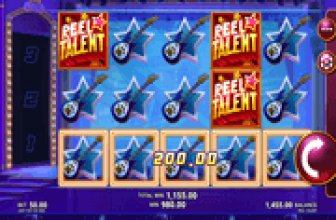 This is a five spinning reel video slot game that offers 243 ways to win, which is more than traditional slot machines offer. Upon first opening the game, the feature that draws you in most is the soft, lovely gothic music. It’s interesting yet soft enough to not bother you through the hours of play. All the symbols are inspired by the Vampire culture, yet the graphics are not dark either. They are rich and vibrant. Symbols include a big Mansion, a female and make vampire, a witch, the cool book of secrets and the game logo created in gothic style. Players can choose from different coin sizes, which include .01 cent, .02 cents, .05, .10. You can bet up to ten coins which is the highest stake of $6. The wild symbol here is the Logo which is a multiplier as well. The Wild symbol can fill in for any other symbol to give you a winning combo where the winnings are doubled. This is the golden doorknob and it makes the game very interesting. When you get three scatter symbols you’ll get a bonus feature known as “The Chamber of Spins.” This offers four bonus rounds with many other bonuses. The Wild Desire bonus is another bonus feature that occurs with the scattered wilds. These offer some very nice wins but rarely appear in the game. 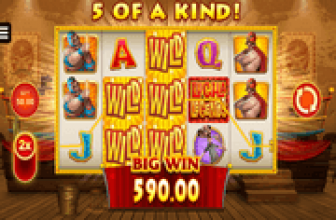 The Amber bonus; this is a first spin bonus where you can win up to 10 bonus spins. The Troy Bonus; a bonus available on the 5th trigger of a bonus feature, where you have the opportunity for 15 bonus spins where bats symbols can appear. These bats turn into bonus multipliers that can give you as much as 6 times your bonus amount. The Michael bonus; this is available on the 10th trigger of the bonus feature and gives you 20 free slots spins but with a cool rolling reel. So when you get the free spins, the connected symbols roll and change to other symbols giving you more bonus opportunities. Sarah Bonus; this appears on the 15th trigger of a bonus feature and you get 25 free spins and an additional wild vine feature. If the wild vine symbol appears on the third ree it transforms other symbols into wilds. Immortal Romance offers a lot of variation. The music and graphics are astounding, the bonuses are varied so it makes the game addictive. Plus you have additional chances of winning big payoffs.